Track and engage your visitors on a real time basis to understand how visitors are interacting with your website! Online surveys with an intuitive interface. Add questions, pages and edit your survey as you like, create and publish a survey in minutes. 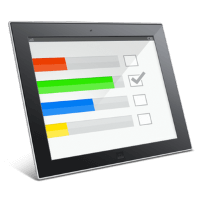 Make your surveys more relevant and organized with logic.